Of course these creations frighten this print cautious blogger but I like to be pushed from time to time. These Leitmotiv creations encompass both the ancient and the modern, all the while creating an eclectic, ironic, visionary array of designs. By looking to past centuries and different worlds, these prints provide a smile inducing collection. Sasso's passion for tailoring and constant Baroque thoughts combine with Caro's passion for art and all things Gothic. This fusion of these seemingly disparate styles create clothes and accessories that contain the most fantastic stories. The label is an artistic project with a bright and colourful language which frequently teeters on the edge of dreams and theater. 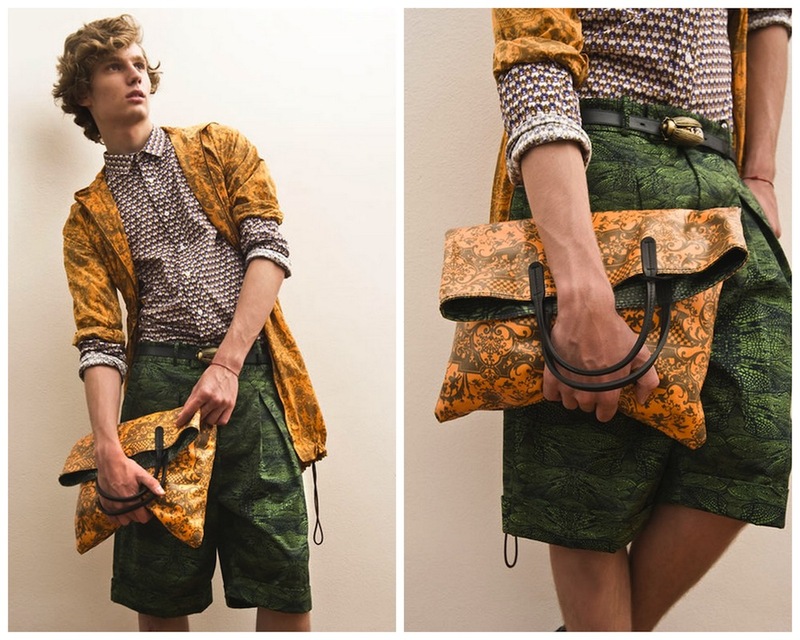 It is a label that references art and fashion while showcasing great craftsmanship. 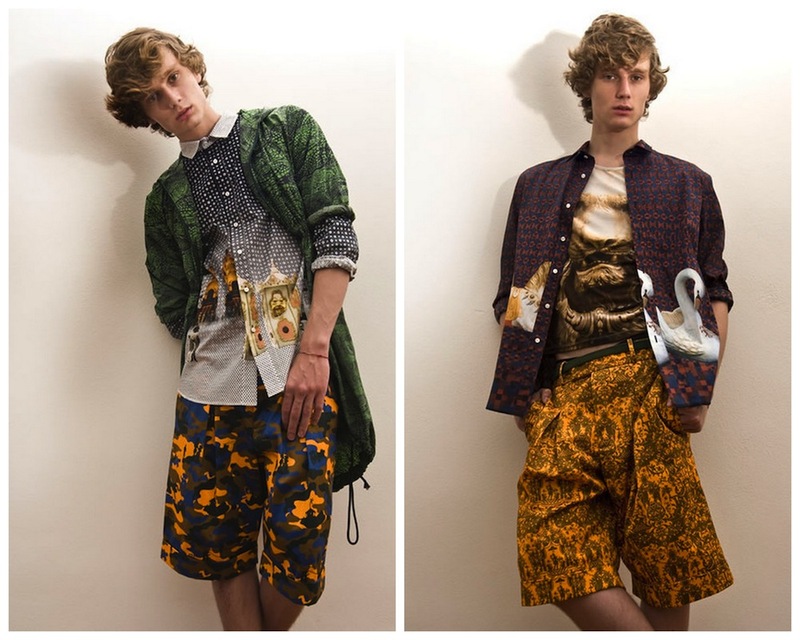 Very interesting print combos at play here.